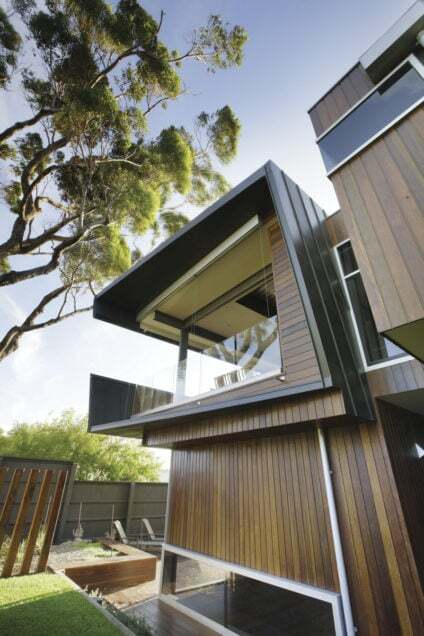 Structurally, Coronet was one of the most complex residential challenges we have encountered. 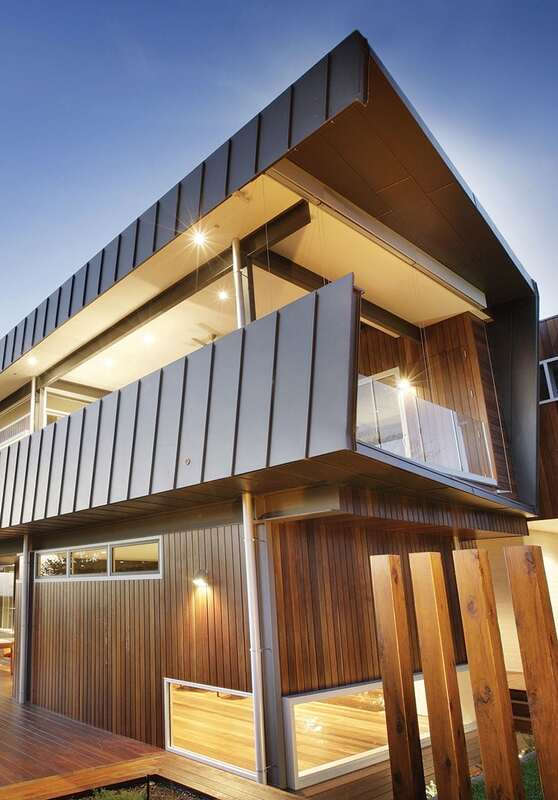 With its significant street presence and commanding two-storey façade, this project quickly became a talking point in the local Bayside community. 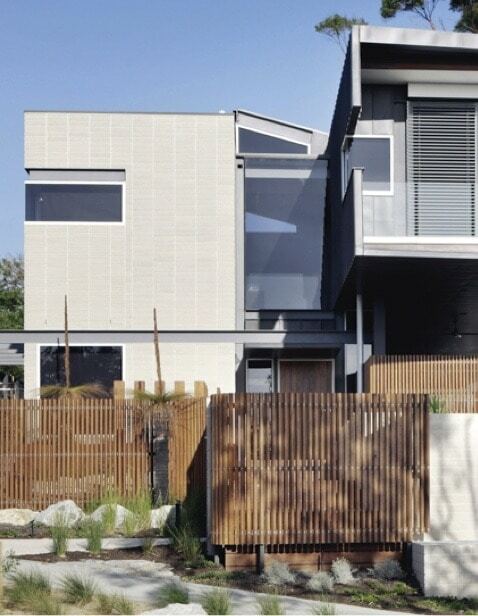 As Dean’s own home, it took an immense amount of clever construction thinking and design resolution to bring it to life. 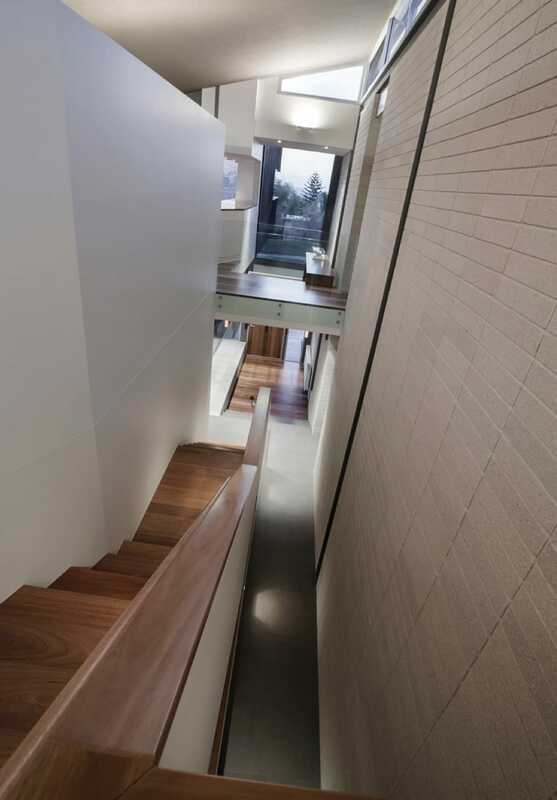 His brief was to build a home that extensively referenced the 1950s and 1960s architecture of the local area. 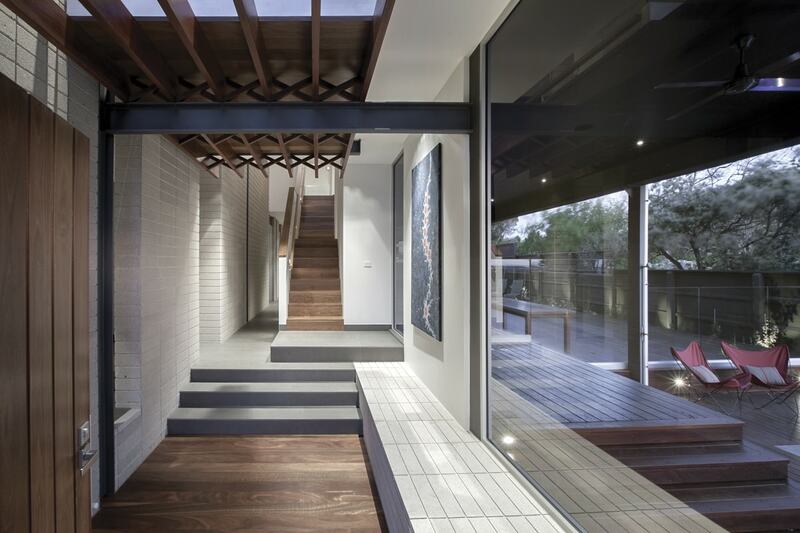 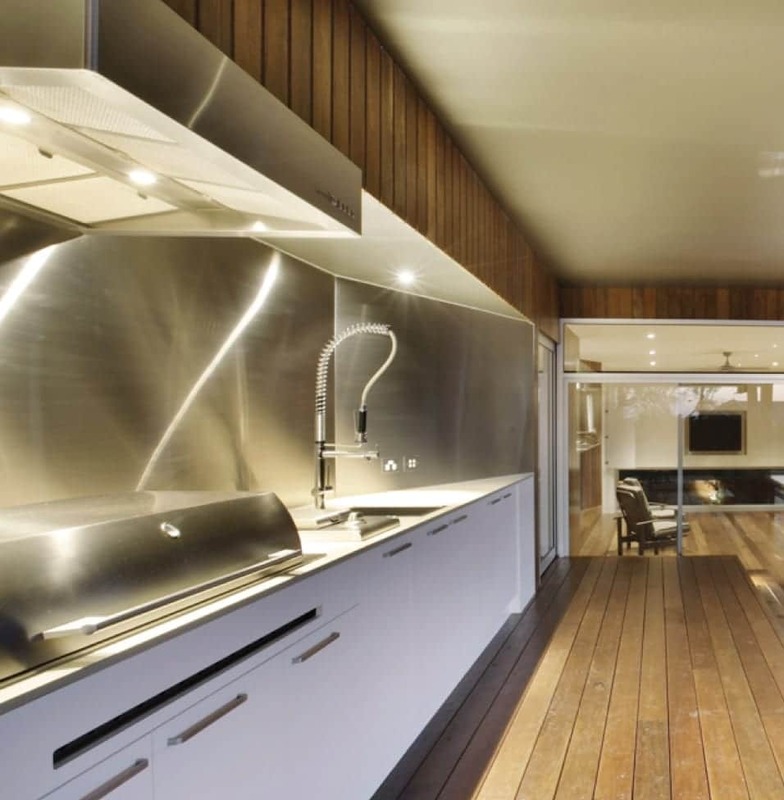 Offering cutting-edge building technology and innovative environmental initiatives, the house was designed by Peter Maddison of Maddison Architects. 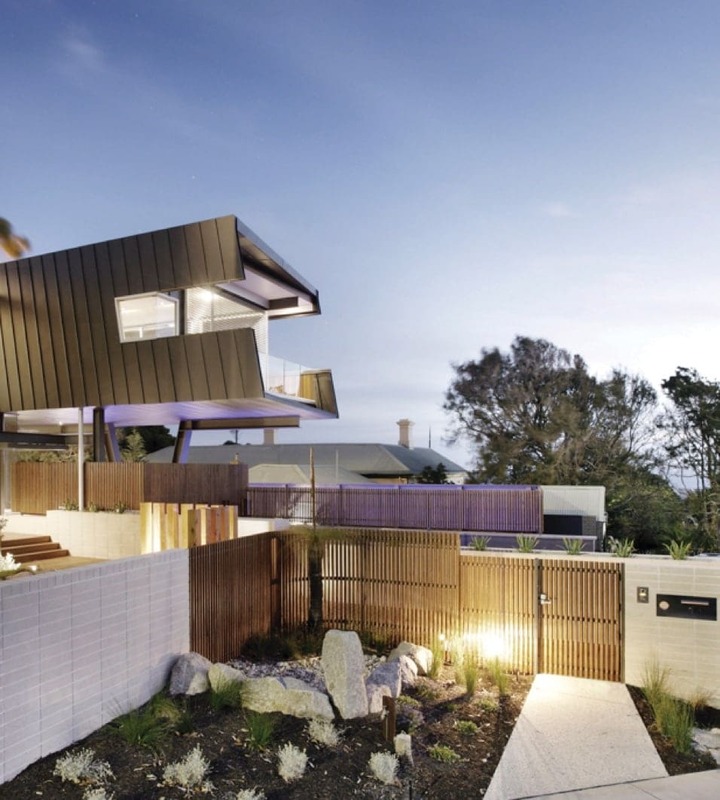 It’s designed with a ‘dual personality’ comprising of a south-facing, cantilevered, anthracite, zinc-clad living area and a two-storey, north-facing alabaster concrete block wing. 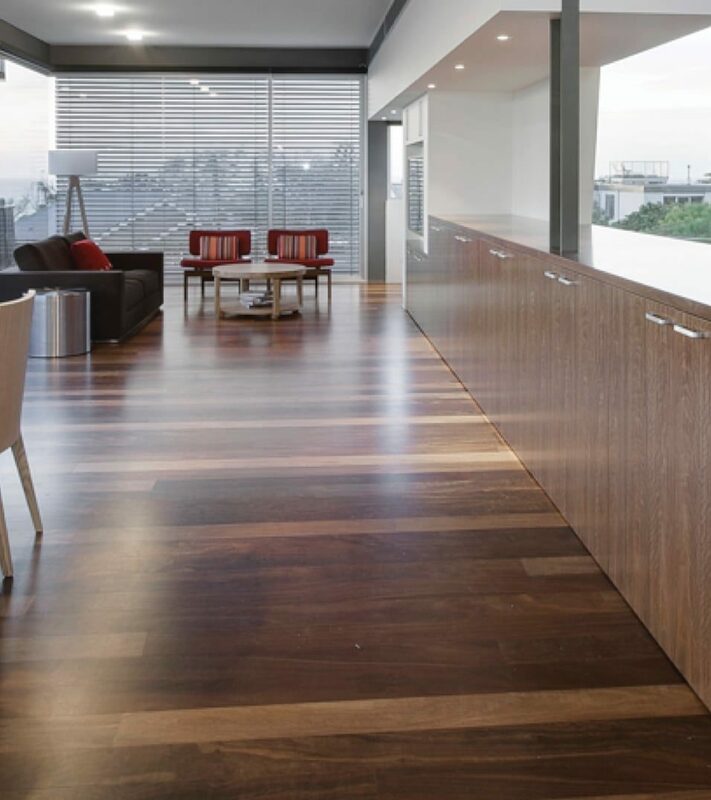 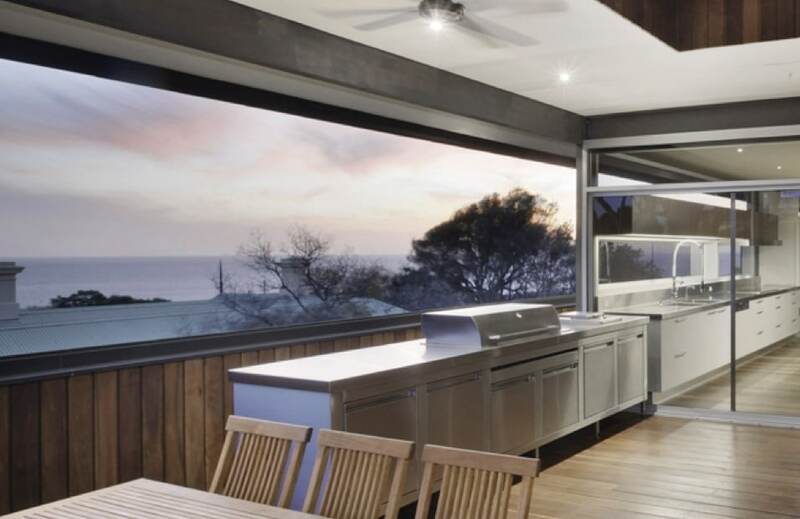 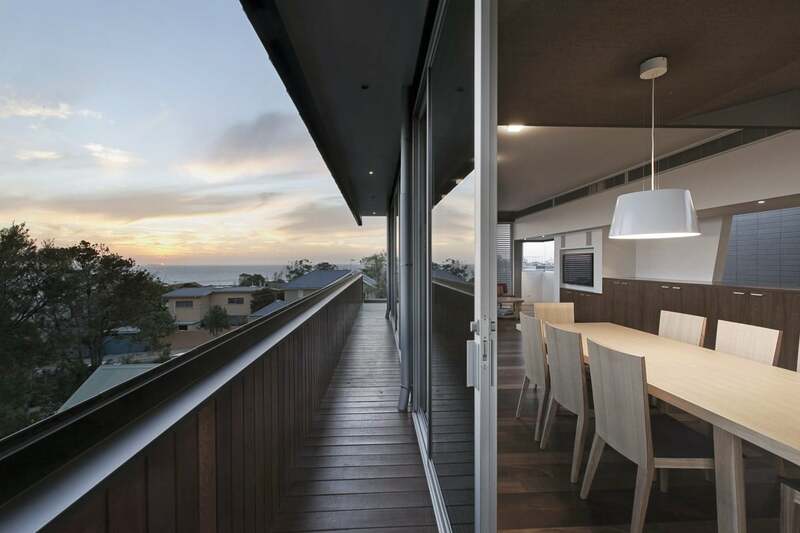 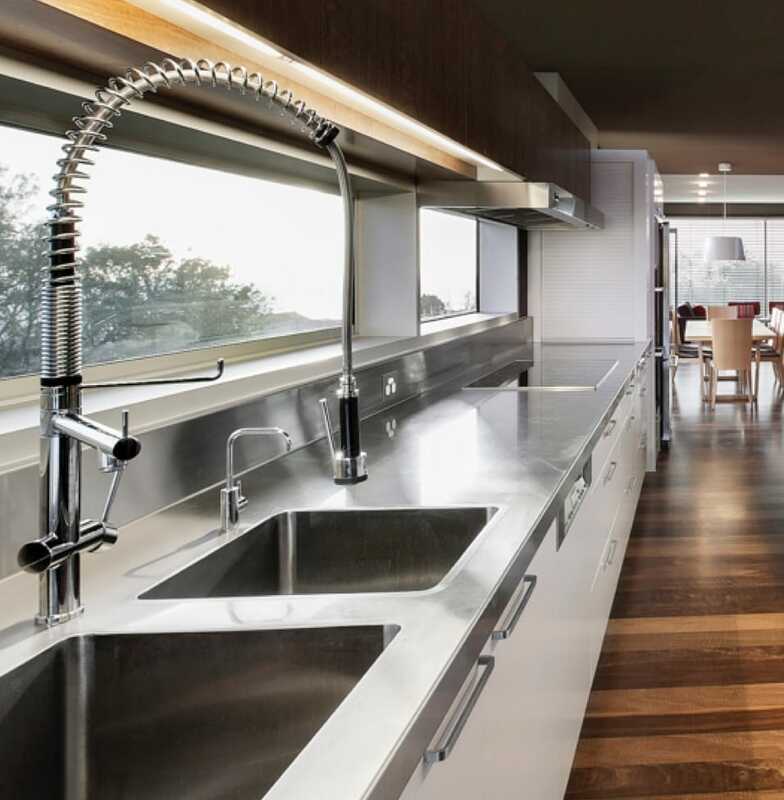 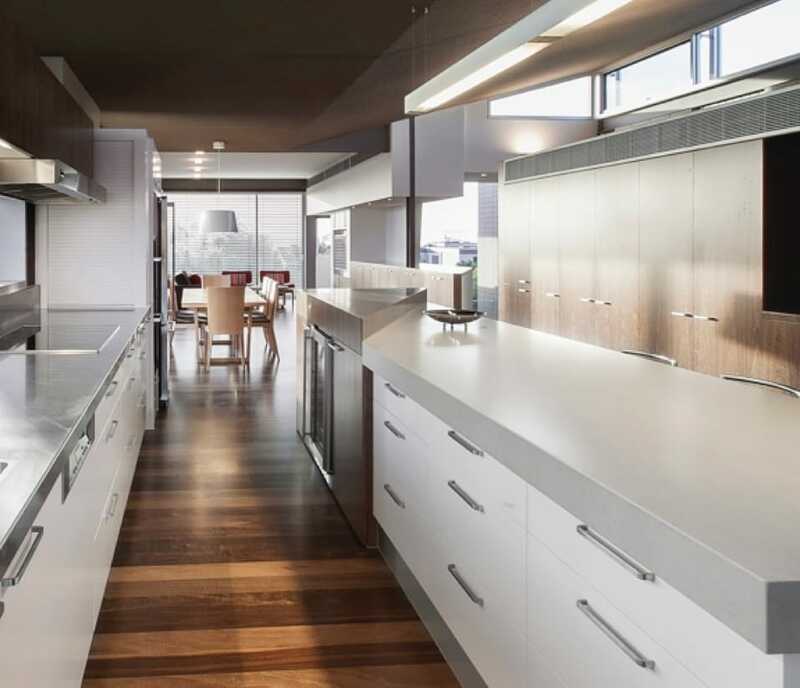 Both sections are elevated to take advantage of the natural light and spectacular views out to Port Phillip Bay. 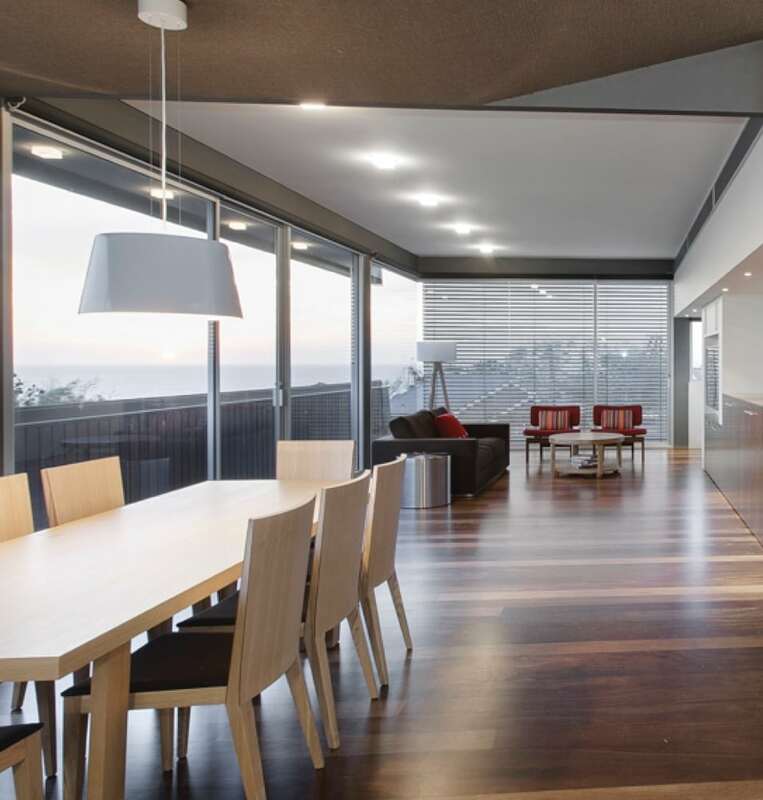 Its passive design circulates the natural breezes through the five bedrooms, three bathrooms and entertaining spaces across three levels. 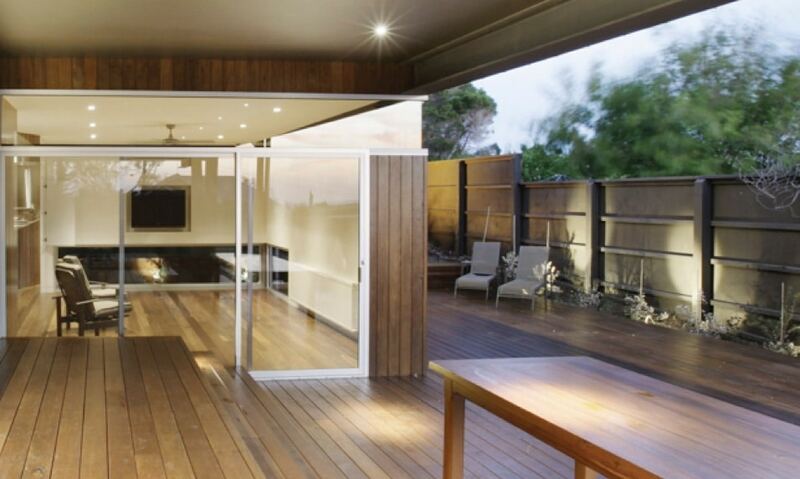 At ground level, a 16m swimming pool and spa has glass viewing windows facing the street and driveway, created to add an element of fun and intrigue to the property behind the fence. 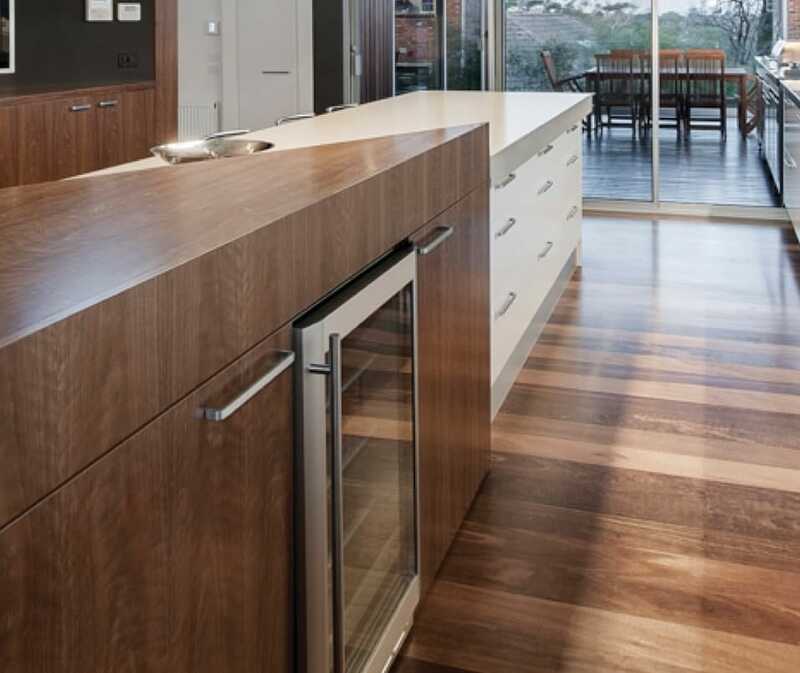 Not only did the overall build require 50 tonnes of steel in construction, it also showcases 6.5km of hardy spotted gum throughout.